International Atlantic Economic Conference, Berlin, March 2017"Is slow Growth the 'New Normal'for Europe?, Robert Mundell Lecture"
The lecture considered future European growth prospects in the light of a new productivity paradox, namely, the co-existence of a productivity slowdown and exciting new technologies. World Economic History Congress, Kyoto, August 2015: "Diversity and Economic Development"
The Third Angus Maddison Development Lecture OECD Headquarters Paris, July 2014: "Catching Up and Falling Behind: Lessons from 20th Century Growth"
The Lecture Series on Development in honour of Angus Maddison was launched in 2012, on the occasion of the OECD Development Centre's 50th Anniversary, and has since become a regular event of the Centre's Development Week. It aims to commemorate Angus Maddison, a renowned scholar on quantitative macroeconomic history and one of the founding fathers of the OECD Development Centre whose work has greatly influenced the development policy debate. This lecture examines the divergence in growth outcomes across the world since the Industrial Revolution. It argues that while economic historians are right to say that institutions matter they should also recognize the importance of the role geography has played especially through proximity to markets. David Hume Institute in Edinburgh, November 2013: What Kind of Supply-Side Policy for the UK? What Implications for Scotland? This lecture reviews the role of supply-side policy in promoting stronger economic and better productivity performance. Specific aspects of policy where the UK could do better are identified including education, infrastructure, innovation, industrial and taxation policies. Then opportunities for Scotland to do things differently as an independent country are considered. ICT as GPT This workshop, held between 11-12 April 2011, was the second of a series on the economic impact of ICT, organised by ICTNET and funded by the European Commission. The goal of the event was to bring together leading researchers in the economics of information and communication technologies (ICT) in order to discuss recent scientific contributions and outstanding policy challenges. Particular emphasis was placed on ICT, R&D and intangibles and ICT-enabled innovation. This conference, which took place in November 2010 was first memorial conference in honour of Angus Maddison, which took place at the International Institute of Social History, Amsterdam in November 2010. 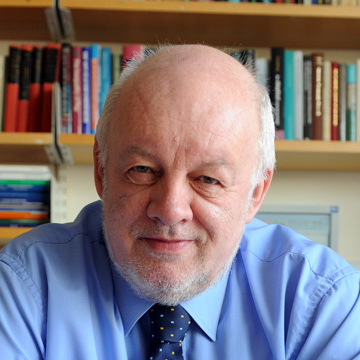 Angus Maddison was a world scholar on quantitative macroeconomic history, including the measurement and analysis of economic growth and development. He was professor at the University of Groningen from 1978 to 1997, and a founder of the Groningen Growth and Development Centre. Is Secular Stagnation the Future of the Eurozone? Saving the Euro: A Pyrrhic Victory? ‘Saving the Eurozone: Is a ‘Real’ Marshall Plan the Answer?